environment, allowing them to test and debug their codes. 4) Describe the Android Framework. The Android Framework is an important aspect of the Android Architecture. Here you can findall the classes and methods that developers would need in order to write applications on theAndroid environment. 6) What is the importance of having an emulator within the Android environment? codes especially if it is in the early design phase. 7) What is the use of an activityCreator? role, though it may not always be in the form of a user interface. 10) Differentiate Activities from Services. regardless of whether there are certain or no activities being executed. 11) What items are important in every Android project? 12) What is the importance of XML-based layouts? items are placed in source files. hold labels, fields, buttons, or even child containers, as examples. as a row or as a column. Values are set as either HORIZONTAL or VERTICAL. 15) What is the importance of Android in the mobile market? Developers can write and register apps that will specifically run under the Android environment. distribution to anyone who wants to download it. 16) What do you think are some disadvantages of Android? other varying features and specs. 18) What are the four essential states of an activity? whenever an application have been unresponsive for a long period of time. 20) Which elements can occur only once and must be present? rest are optional, and can occur as many times as needed. 21) How are escape characters used as attribute? 22) What is the importance of settings permissions in app development? these, codes could be compromised, resulting to defects in functionality. 23) What is the function of an intent filter? are possible, depending on the services and activities that is going to make use of it. 25) When is the onStop() method invoked? because another activity has taken over or if in front of that activity. Yes, there are actually instances wherein some qualifiers can take precedence over locale. 27) What are the different states wherein a process is based? 28) How can the ANR be prevented? 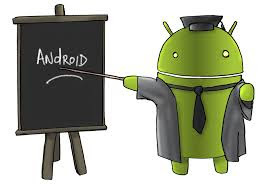 29) What role does Dalvik play in Android development? 30) What is the AndroidManifest.xml? -Declare your application as "debuggable" in your Android Manifest. -Turn on "USB Debugging" on your device. -Set up your system to detect your device. 32) Enumerate the steps in creating a bounded service through AIDL. 33) What is the importance of Default Resources? 34) When dealing with multiple resources, which one takes precedence? the ‘locale’ qualifier almost always takes the highest precedence over the others. 35) When does ANR occur? not done executing within 10 seconds. 37) What data types are supported by AIDL? 38) What is a Fragment? or combine with other fragments in a single activity. Fragments are also reusable. 39) What is a visible activity? not necessarily being in the foreground itself. 40) When is the best time to kill a foreground activity? interface can retain its responsiveness to the user. 41) Is it possible to use or add a fragment without using a user interface? 42) How do you remove icons and widgets from the main screen of the Android device? lower part of the screen where a remove button appears. 43) What are the core components under the Android application architecture? 44) What composes a typical Android application project? 45) What is a Sticky Intent? around even after the broadcast, allowing others to collect data from it. 46) Do all mobile phones support the latest Android operating system? under the latest Android version. 47) What is portable wi-fi hotspot? laptop to connect to the Internet using that access point. 48) What is an action? response. Most application functionality is based on the intended action. 49) What is the difference between a regular bitmap and a nine-patch image? can be scaled into both axes. 50) What language is supported by Android for application development? learn to create and deploy applications in the Android environment.